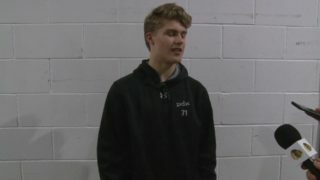 The Silvertips scored three times in the opening ten minutes of Game 3 and never looked back, eventually taking down the Winterhawks 6-2 at the Veterans Memorial Coliseum on Tuesday. With the loss, the Silvertips now take a 2-1 series lead over Portland. Everett got on the board first, with Silvertips forward Riley Sutter potting his third goal of the postseason 4:35 into the first period to make it 1-0 Everett early. 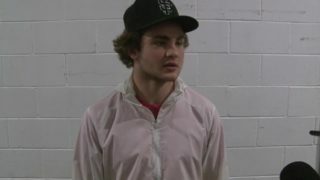 Just over three minutes later, Bryce Kindopp tipped beat Winterhawks netminder Cole Kehler to give Everett an early two-goal advantage. The Silvertips continued to press, with Sutter tipping home his second of the game just prior to the midway point of the period to make it 3-0 Silvertips. But the Hawks would cut the deficit late, when Dennis Cholowski scored on a beautiful wraparound goal with under five minutes remaining in the period. For Cholowski, it was his fifth goal of the playoffs. In the second, the Hawks continued their comeback attempt. Kieffer Bellows fired a shot from the blueline on a Hawks powerplay that Silvertips goaltender Carter Hart got a piece of, but had trickle behind him past the goalline to make it a one-goal game. 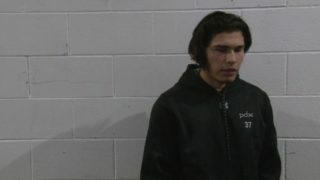 But just 38-seconds after Portland got within one, the Silvertips retook a two-goal lead on a marker from Reece Vitelli. In the third, the Silvertips would score their fifth of the game on a goal from Martin Fasko-Rudas 7:06 into the period. 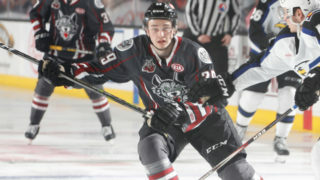 Portland would pull Kehler late in regulation for the extra-attacker, but Everett would bury an empty-net goal to eventually make it a 6-2 final. With the victory, the Silvertips take a 2-1 series lead in the second round best-of-seven WHL series. 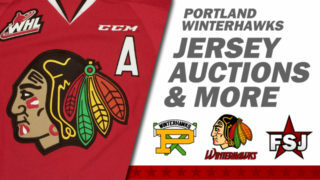 Game 4 between the Hawks and Silvertips goes Thursday, April 12th at 7:00 p.m. at the Moda Center. 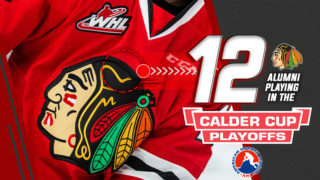 The Winterhawks continue playoffs against the Everett Silvertips for Round 2 on April 12th at the Moda Center for game 4. Tickets on sale here, and single game and group tickets now on sale.